Hit by insufficient relief and apathy towards their plight, the Sindh flood survivors are witnessing an increase in the number of deaths from the disaster. 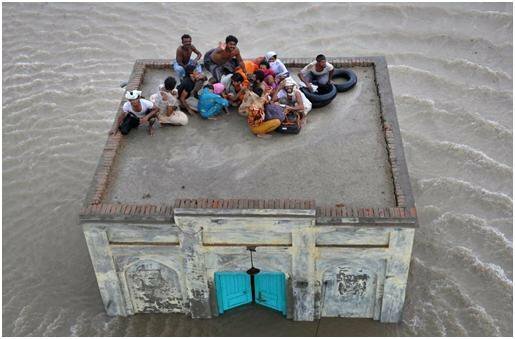 The stark realities have been described in a ten-page report titled ‘Civil Society Flood Situation Report’ which was published on Friday by a group called the Peoples Accountability Commission on Floods. It said that the international humanitarian response to the $357 million appeal made by the United Nations on September 18 has been dismal. Though one and a half months have gone by, only 23% of the funding has been received. About 374,827 tents and tarpaulins have been provided by the international community to the people who resided in the 1.5 million houses that were damaged by the floods. Despite this, a staggering 65% of the victims are still without shelter, while the few who did receive tents are down on their luck, as the structures do not provide enough protection against the cold weather. More than 90% of the people have still not been provided other essential relief materials such as blankets, kitchen sets and mats. Malnutrition is also rampant among the three million victims in Sindh and Balochistan, and the situation will worsen as the limited food supplies have begun to dwindle. Only 18% of the overall food security appeal has been collected. Millions of farmers in the affected regions have expressed their desire to cultivate winter crops, especially wheat, where the water has receded. Their voices seem to have fallen on deaf ears as the federal and Sindh governments have not yet started distributing seeds and other farming materials, said the report. If this doesn’t start within a week, the farmers will be unable to sow wheat, leading to an exacerbation of food insecurity. The report also laments the poor health conditions of the people. As the mercury begins to drop and the stagnant water remains where it is, disease is likely to spread. Acute diarrhea, skin infections, malaria and acute respiratory infections are the main conditions that will have to be battled. Only 9% of the $45,911,379 required for lifesaving health services in Sindh and Balochistan have been met. Safe drinking water is also short in supply and 65% of the flood affected communities do not have access to it. About 76% have no sanitation facilities. On October 27, an outbreak of diarrhoea was reported in a camp in Sanghar, resulting in three casualties. The report said that 60% of Badin is completely submerged while about half of Sanghar, Mirpurkhas and Umerkot are under water. Despite the president’s instructions, the authorities have failed to procure suction pumps from abroad. The federal and the provincial governments are violating international humanitarian standards of relief distribution as there is no transparency in the system, said the report. There is no proper beneficiary registration. Many influential people in the government are using the floods as a political tool to increase support for their party. “The federal and provincial governments as well as the international community should increase assistance to the flood affected communities in different critical sectors so that millions can be saved from starvation, disease and death due to the winter,” concluded the report.